Marla brings a boundless love for policy, politics, and equity. She enjoys serving as a bridge that people can walk across to find common ground. She has a deep tolerance for messy politics, a personal commitment to keeping it real, and an ability to talk (or tweet) with anyone. 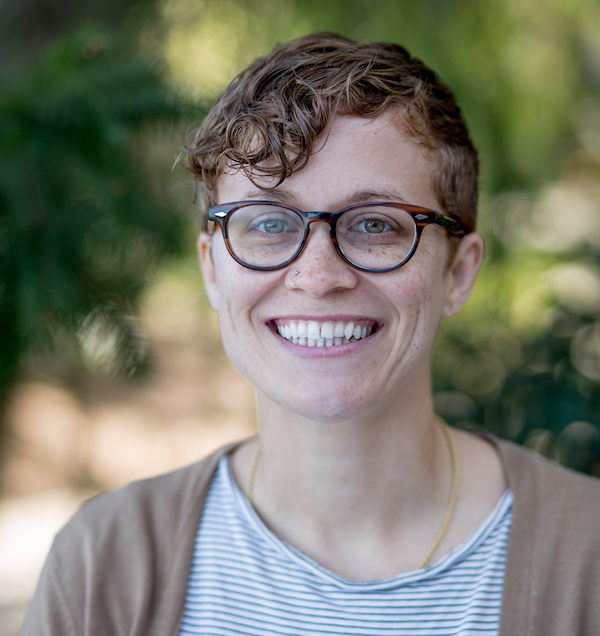 At Resource Media, Marla uses strategic communications to protect, implement, and expand California’s leadership on climate change, partnering with social justice organizations to ensure low-income communities and people of color are at the forefront of solutions. She works with local partners to advance energy efficiency campaigns in Virginia and California focused on low-income renters and residents of affordable housing. Marla is now tapping communications to help community-based nonprofits launch a restorative justice and economic justice advocacy and training center in Oakland, where she has lived for the last decade. Over the last 15 years, Marla’s career has spanned government, nonprofit, and philanthropy settings, on Capitol Hill and in the Bay Area. She has worked at the intersection of advocacy and communications on issues as varied as U.S. Supreme Court nominations, youth gun violence prevention, affordable housing, clean air and water, reproductive rights, and climate change. Prior to Resource Media, Marla worked with The San Francisco Foundation, Greenbelt Alliance, Alliance for Justice, and the Rehabilitation Services Administration of the U.S. Department of Education. Somewhere along the way, she earned a Master of Public Administration with a focus in Sustainable Development from San Francisco State University.